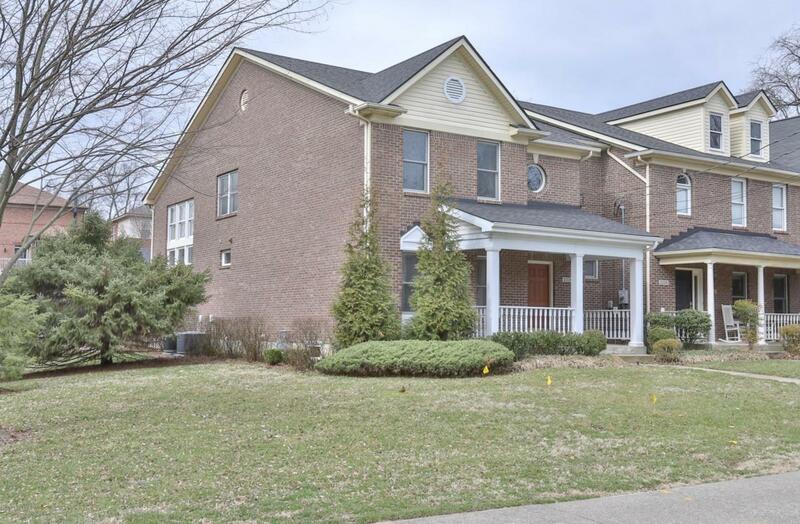 Upscale Highlands Townhome has an OPEN FLOOR PLAN with lots of NATURAL LIGHTand tremendous Location, South of the Douglas Loop (the eclectic Bardstown Roadneighborhood shops, restaurants, night life...) The home features a first floor Master Suite and Master Bath. The Master Bedroom has trey ceiling, large closet, RECENTLY UPGRADED bath with separate shower (dual heads) with double sink vanity. The First floor has beautiful hardwood floors. Kitchen features UPGRADED solid surface - granite counter tops. NEWER Stainless Appliances including a range/oven, microwave/convection oven and dishwasher.Excellent comfort with dual HVAC systems. Re-modeled first floor half bath. The Great Room and Dinette combination area will be where you enjoy time in this home.The vaulted Great Room has a gas direct vent fireplace and built in cabinets. A spacious Formal Dining Room and Foyer Complete the first floor. The second floor has a loft/office area with dual bedrooms (each bedroom has a walk-in closet) and full bath with jetted tub. LOCATION ADVANTAGE of the end unit in the complex adds privacy. Large 2.5 car garage and unfinished basement add storage possibilities. HOA dues run $250 monthly.